Macam’s foray into art started in 1997 when she played the role of muse for masters Cesar Legaspi, Onib Olmedo, Solomon Safrid and Efren Samson. Almost a decade would pass for Macam to pick up the brush herself taking up art courses and learning how to play with charcoal, water color, acrylic and oils. Her effort did not remain unnoticed. Noted artists Ramon Olazo, Al Perez and William Chua gave her encouraging feedbacks. 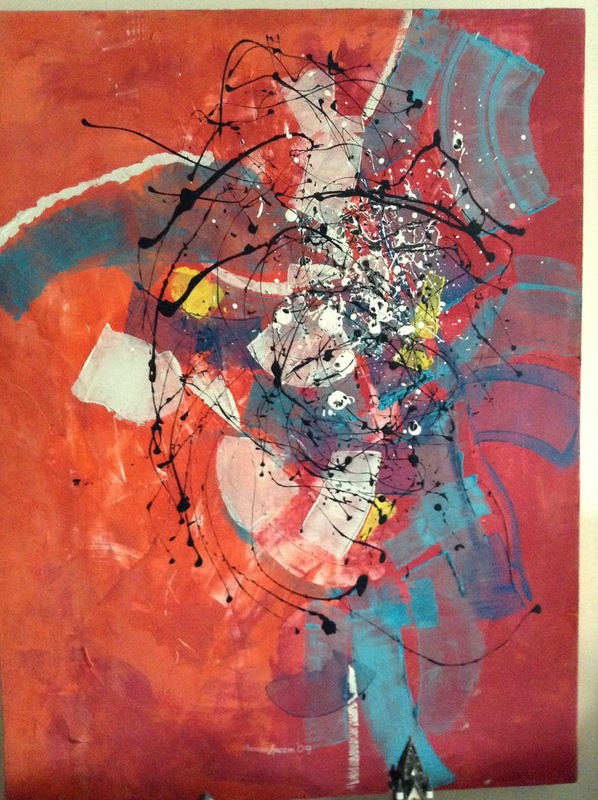 In 2010, Mar Bongalon tutored her to further her study in abstractions. Macam remains a dermatologist by profession but has found a true calling in the arts. For her, science and art need not be completely at odds but rather can compliment each other. One is logical, the other imaginative. Together they can create something uniquely beautiful. For more information, call Chef Jessie Rockwell Club at 890-6543 or 890-7630.